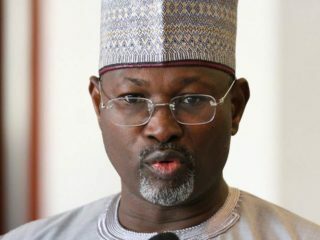 A friend of mine who is more credulous and who claims to be close to the Chair of INEC keeps telling me that INEC will retrieve its image and reputation by conducting the coming elections with utmost integrity and impartiality. I am not sure as I believe more in action than in words and in past record than in promise. The track record of the present INEC is fairly sordid and all men and women of goodwill and believers in democracy must be prepared for the worst from INEC and their encouragers and how to get Nigeria out of the electoral morass that the Commission is driving us into. To be forewarned is to be forearmed. A battle long forewarned does not embroil the cripple nor catch him unawares. A word is sufficient for the wise. The labour of Nigerian democracy heroes must not be in vain. Some men of God would hold President Buhari to his word on free, fair, credible and peaceful elections. I am a realist and I reiterate that I go by track record. Therefore, I am not persuaded by a track record of hollow words, impunity, insensitivity and ‘I-couldn’t-care-less’ attitude, or by the sanctimonious claims of any candidate and his campaign staff. I will only believe what I see. This is a time for vigilance to fight to safeguard our votes and defend our democracy. The price of liberty and sustenance of our democracy is eternal vigilance and appropriate reaction to ward off iniquities. We must all be ready to pay that price and not relying on hollow words of callousness. The derailment of Nigerian democracy will be a monumental disaster comparable to the disaster of the Nigerian first military coup. While Nigerians must not allow such a disaster to happen nor take such an affront lying low, the international community who played an admirable role in warning INEC, of course, to no avail on the Osun State gubernatorial election and who have been warning all political parties must on this occasion give more serious warning, send more people to the field to observe and work out punitive measures against INEC and security officials especially the Police and politicians who stand to gain from INEC’s misconduct, which is obviously encouraged by the executive arm of government and who must be held responsible for the violence that will follow. Such measures can vary from denial and withdrawal of visas from the people concerned and from their families to other more stringent measures including their accounts being frozen and taking them to International Criminal Court (ICC), if violence emanates from their action or inaction. 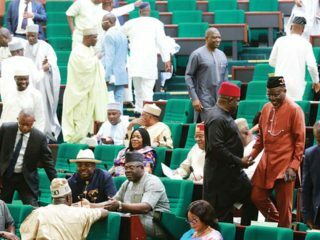 Nigeria must not be allowed to slip off the democratic path nor go into anarchy and ruin. No individual nor group has monopoly of violence or gangsterism. And we must not forget that in human interaction, reactions are normally greater than action, though opposite. President Buhari and his hatchet men in the coming election think that the judiciary must be primed in their favour. Hence, the Chief Justice of Nigeria, Justice Walter Samuel Nkanu Onnoghen, has been harassed and prosecuted for non-declaration of his assets without following the Constitution and the law, just to make him conform or set him aside for a Buhari man to take over or act, as President Buhari and his people believe no stone should be left unturned to rig Buhari in. It seems to be a ploy to intimidate the judiciary as a whole in preparation for all election cases that will go before them. Where and how will all these stop? Typically, with overwhelming outrage and condemnation, we are told that the Presidency denied knowledge of the action. But the vice president told us that the President knew of the action on Saturday night for everything that has been prepared for Monday morning. Haba VP, it doesn’t happen that way. Nobody should take such measure against any of the four in hierarchy below the President or any of his ministers without his knowledge and indeed his approval. But if that can happen to the Chief Justice of the Federation, the fifth man in the hierarchy of government, without the knowledge let alone the approval of the President, then it speaks for the type of government we have which means the President is not in charge let alone being in control and no Nigerian must take anything for granted. We are all unsafe and insecure under such an administration. And enough of it! Buhari’s apologists will not stop at anything to try to cover up his administration’s inadequate performance and character. A constitutional liberal democracy cannot thrive without an independent and insulated judiciary from the executive and the legislature. Nigerians must wake up and stop these acts of wanton desperation tantamount to mental incapacity to run the affairs of Nigeria wholesomely. Buhari has succeeded in deceiving us the first time and we will be fools to allow ourselves to be deceived the second time. 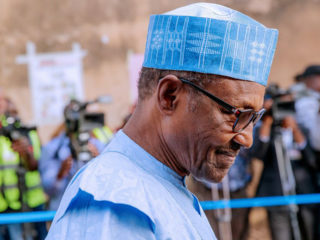 Buba Galadima, who knows Buhari very well as a confidant and National Secretary of Congress for Progressive Change, CPC, the Buhari’s party before it joined in forming All Progressives Congress, APC, has warned us this time around that no matter what he promises, he cannot change his character and attitude. He describes him as inflexible, insincere, dubious, intolerant, never accepts responsibility when things go wrong and impervious to reason and advice for change. If you cannot change your mind, you cannot change anything is the assertion of George Bernard Shaw. Even when figures, facts and statistics are made clear to Buhari, he keeps repeating what is untrue, either because he cannot understand or for mischief purposes and that places him on the level of a pathological liar. He believes he can get away with impunity and deceit as he seems to have done on many occasions in the past. Junaid Mohammed was eloquent on the issue of nepotism. But if as we were told that Buhari is nepotic because he does not trust others, why should others trust him to continue to put their fate and life in his hand. Trust begets trust. They cannot be trusted for ‘sensitive’ appointment but they can be sent out to campaign for his re-election. Who is fooling who? God of Nigeria is a living God and a prayer-answering God. Nigerians must cry out to God to deliver Nigeria. Here again, I have been threatened with arrest and extermination but I will not succumb to intimidation or threats. Maybe I should remind those who are using probe as a threat that I have been probed four times by EFCC, ICPC, House of Representatives and the Senate and Buhari has access to reports of these probes. But I have also challenged Buhari and the criminals around him to set up a probe on the same allegations and I will face such probe in public. But I know that these criminals cannot withstand a Police inquiry let alone clinical probe on the past public offices they held. My fervent prayer is that President Buhari may live to see the will and purpose of God for Nigeria. My final appeal to him is to desist from evil with manipulation and desperation because evil has repercussion especially as man who should watch and be mindful of his self-acclaimed and packaged integrity. 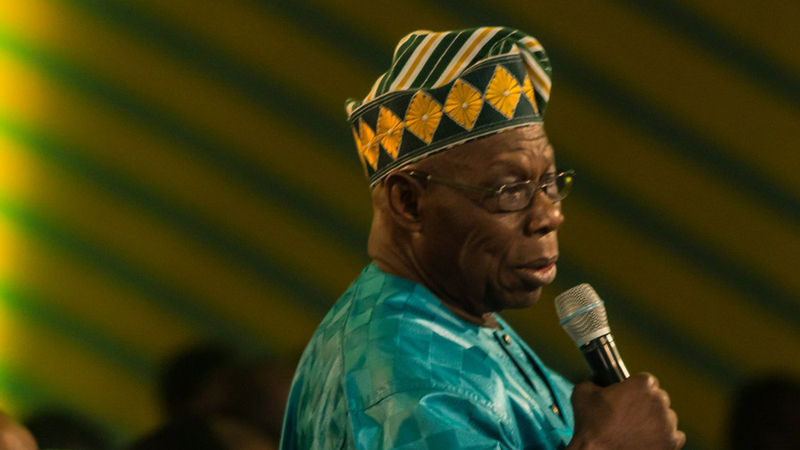 Olusegun Obasanjo (GCFR) is a former president of the Federal Republic of Nigeria.